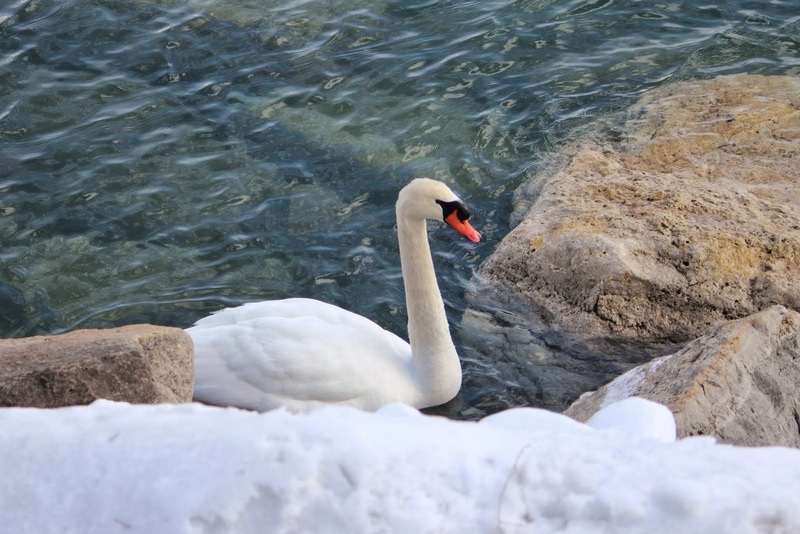 I took this picture of a lone white Swan swimming at the edge of the ice covered rocks in the Humber Bay Park in Etobicoke. Taken February 24, 2014. Sorry, did not have anything to feed this bird, if that is why it came over to me. Picture taken with my Canon EOS Rebel T3i and a 250 mm lens, Focal Length: 90 mm, f/4.5. 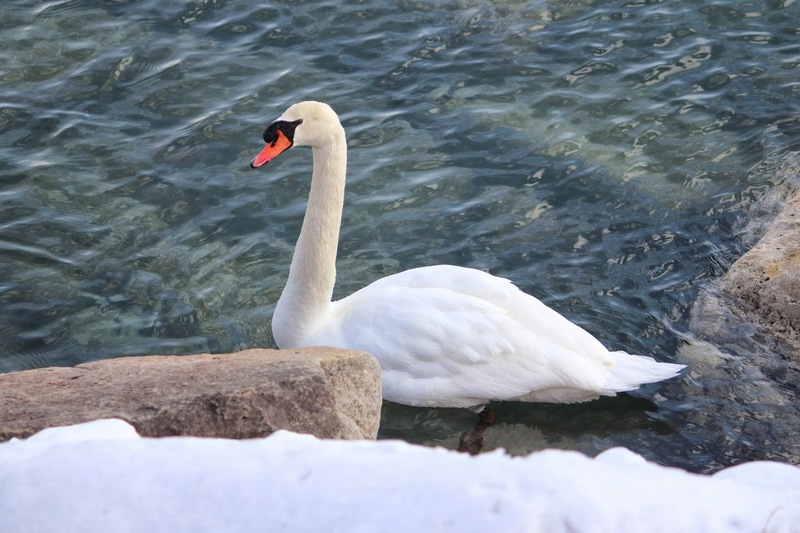 Don't know where this Swan went after I left this spot while taking scenery pictures. Taken with my Canon EOS Rebel T3i and a 250 mm lens. Focal length: 70 mm, f/4. Too cold to take anymore pictures a the park today. Some brave people walking their dogs out here as it is treacherous to walk in most places.